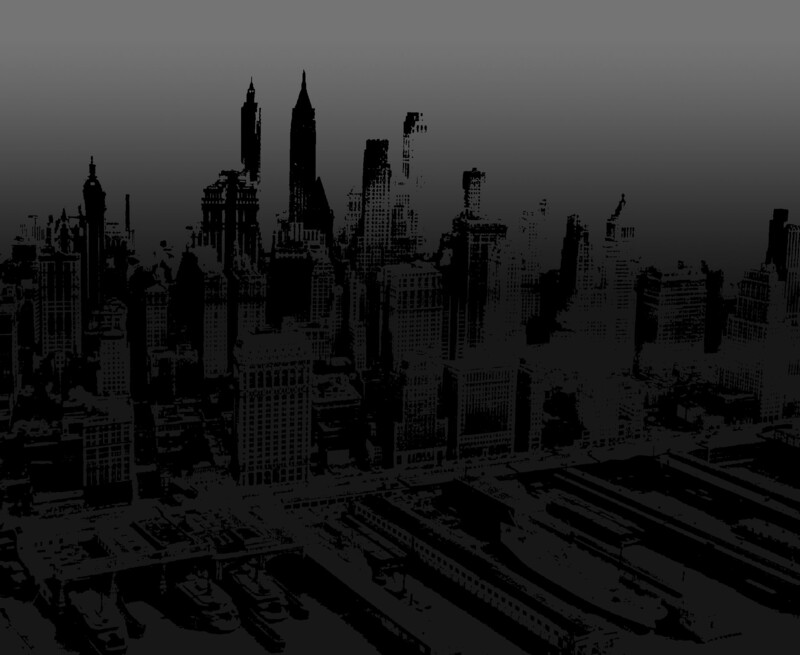 For my newest artistic venture I have selected a decade - the 1930s - and a place - New York City - to focus on the ironies and randomness of mankind and its missions. As is true of most decades, the '30s didn’t begin on the stroke of midnight after the last day of 1929. It was been born of the events of the previous decades, but most especially by the world wide stock market crash of October 29, 1929 when fortunes were obliterated overnight, unemployment rose more than 60% and our nation's industrial production fell to nearly 50% of what it had been during the 1920s. My project is not intended to incorporate every event and issue of those times. It is an artistic montage that hopefully will capture in paintings the humor, beauty and pathos of the era and tell a story to those who did not live through that most fascinating era. Click here to view the video of "King of the City"
Click here to view more works by George Rothacker. 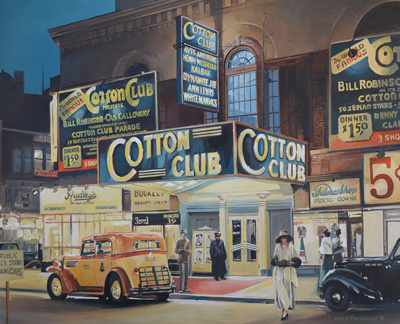 "The Cotton Club," 2012 - acrylic on canvas - 22" x 28"